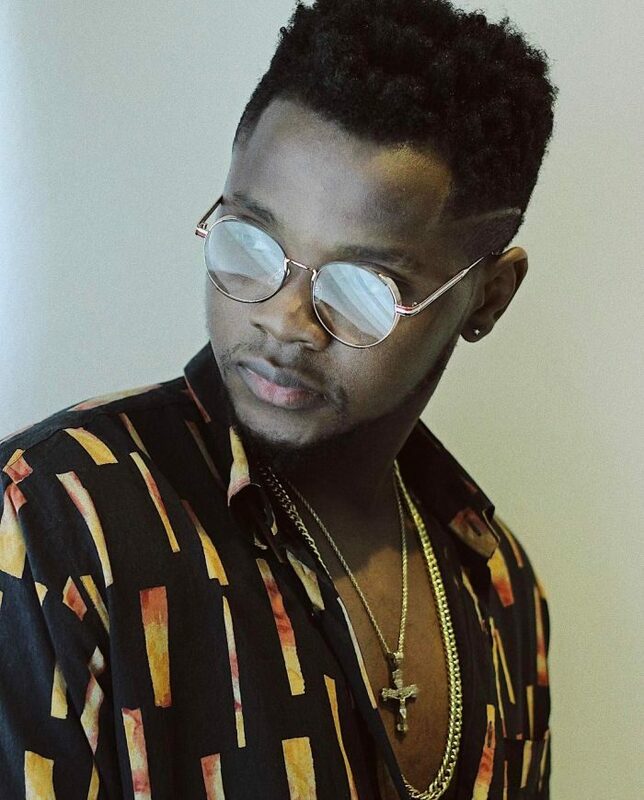 Kizz Daniel, Nigerian Singer has debunked reports that there is no feud between himself and Mavins records singer Reekado Banks by releasing a press statement. 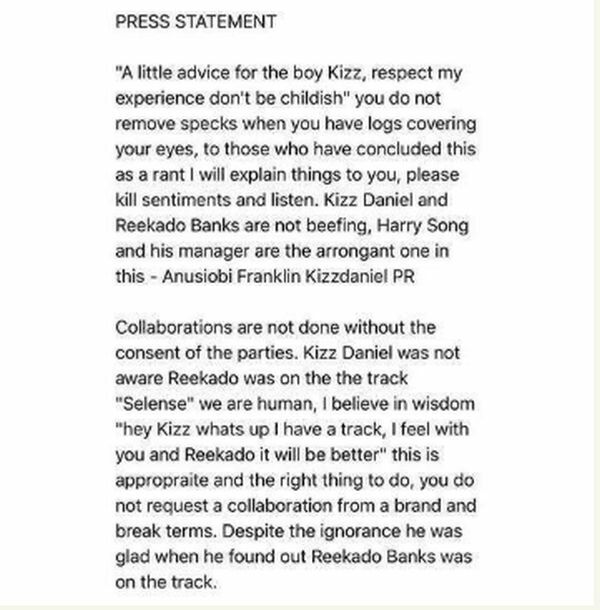 The press statement was made by his Public Relations Officer, Anusiobi Franklin after Harrysong’s management claimed in a report that the singer refused shooting the video of their collaboration “Selense” because of his beef with Reekado Banks. 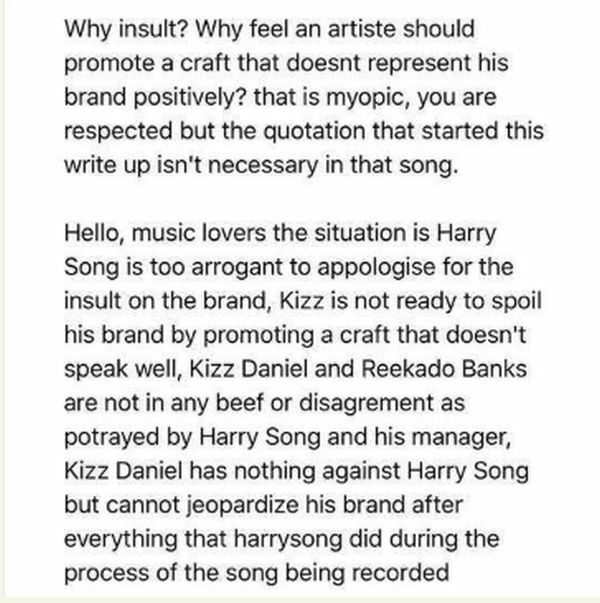 The Flyboy representative claimed in the statement available online that Harrysong did not inform Daniel prior to the collaboration that Reekado Banks was in the song. 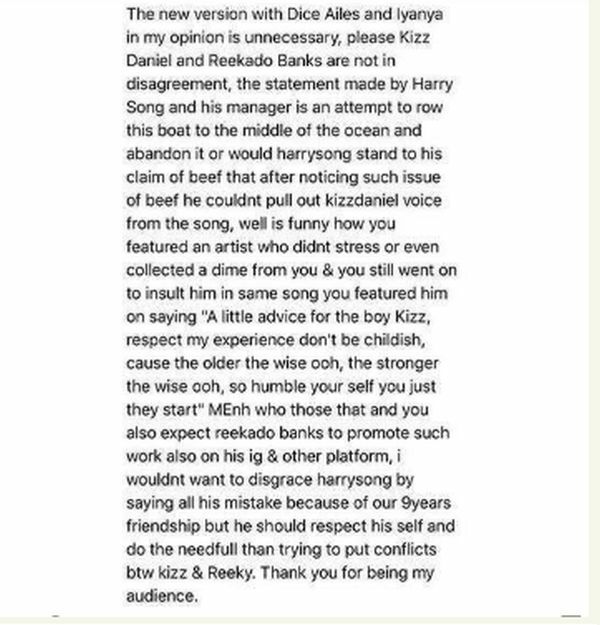 Revealing that the claims harrysong made concerning the relationship between Kiss and Reekado were false, he has been tagged ‘arrogant’.